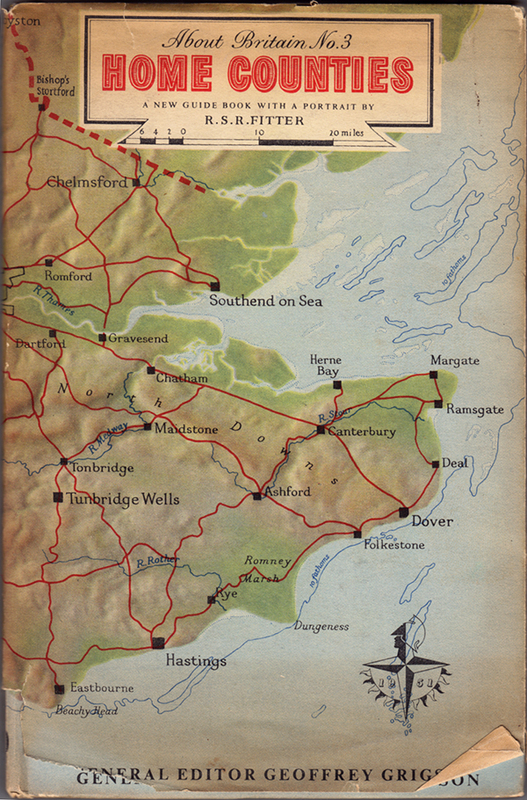 A few years ago I wrote an article for Eye magazine blog after coming across a programme for the 1951 Festival of Britain. 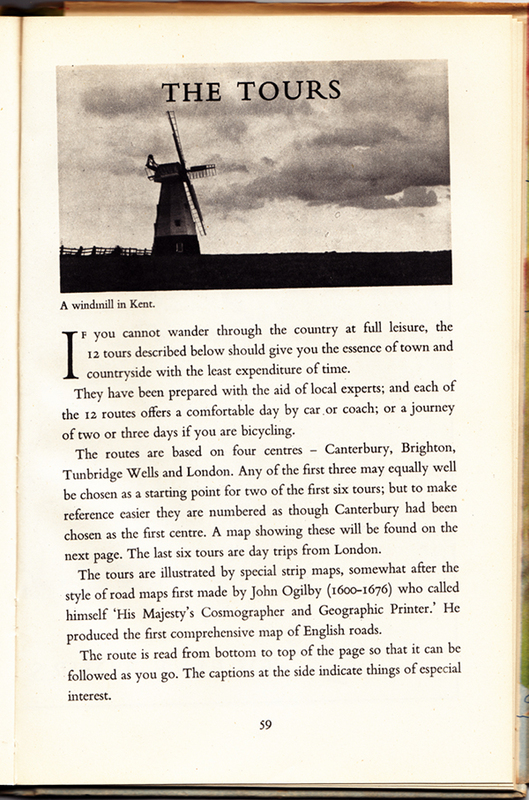 At the time I was aware of the existence of a series of small guide-books published to coincide with the festival called About Britain, but it was only recently that I actually came across any. 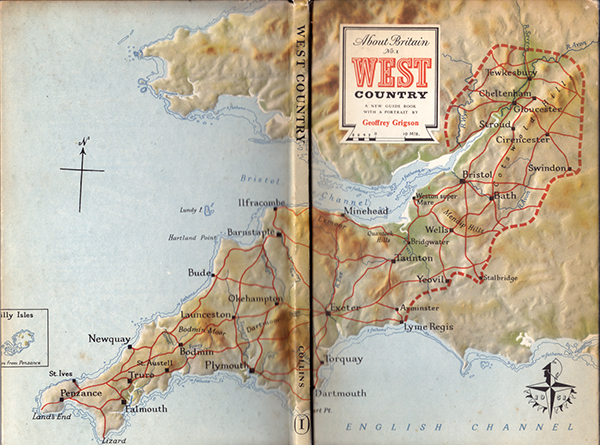 The covers feature maps of the region, both as a hard-case wrap and as a dust jacket. 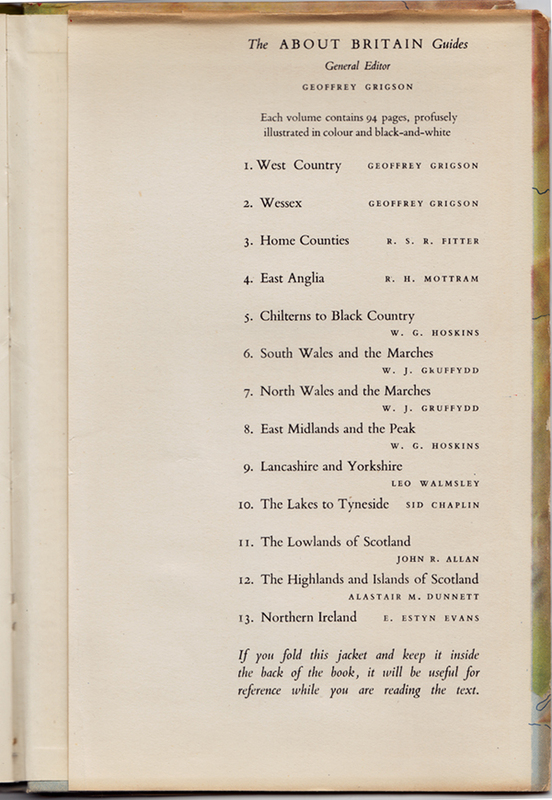 The fact the map was printed on both case and jacket allowed the owner of the book to remove the jacket and use it for reference while reading, as the inside back cover of the Home Counties edition explains, (below). Whether this was a deliberate design decision or some clever post-rationalisation will never be known, but it is still a great idea. Naturally the books at first glance seem somewhat dated. However, there is a real sense of optimism and forward thinking in regard to the contents once you consider the context within which these were published. These are meant to be egalitarian and easily accessible by all to instil a sense of pride in our nation, and encourage the reader of better times to come as the country shook off the last vestiges of the Second World War. 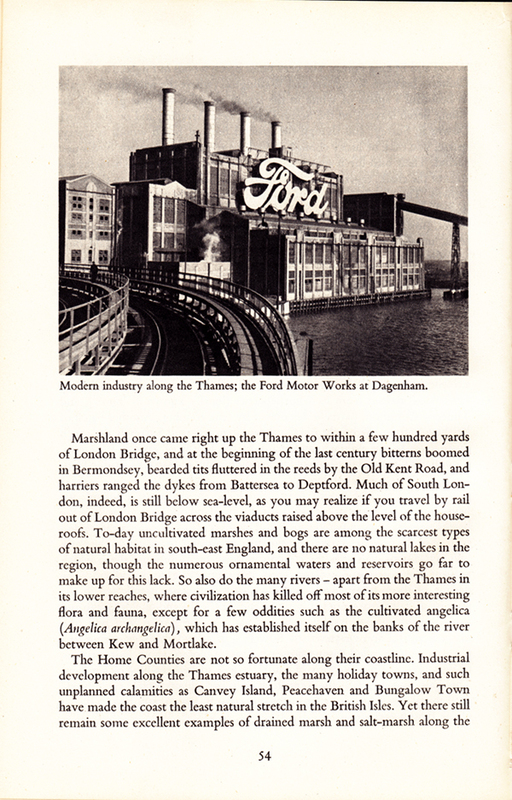 Featured inside are stories of emerging industries, as can be seen in the spread above about Ford. However, I’m not sure how the residents of Canvey Island or Peacehaven would react to where they lived as being described as “unplanned calamities”. Alongside such articles were stories of traditional farming methods, town planning, historical features and natural wonders. 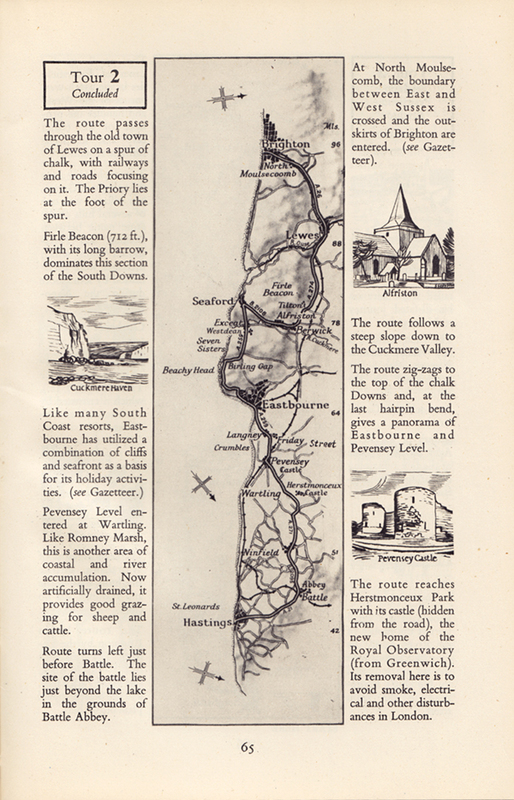 Also published in these guides were tours of local areas with maps you could follow by car, bus or bike, clearly aimed at the working classes taking time out to visit the country and thus encouraging an emerging tourist industry. Some aspects are seen as very antiquated, such as the description of Londoners’ characteristics: “his steadiness, humour, independence and attitude to authority…His loyalty to the ruler he approves is unbounded, and he likes to show it on Royal occasions.” Many republicans of today would disagree with such cap doffing, and further dating the writing, you have to remind yourself of the times when noticing the inherent sexism within the text. 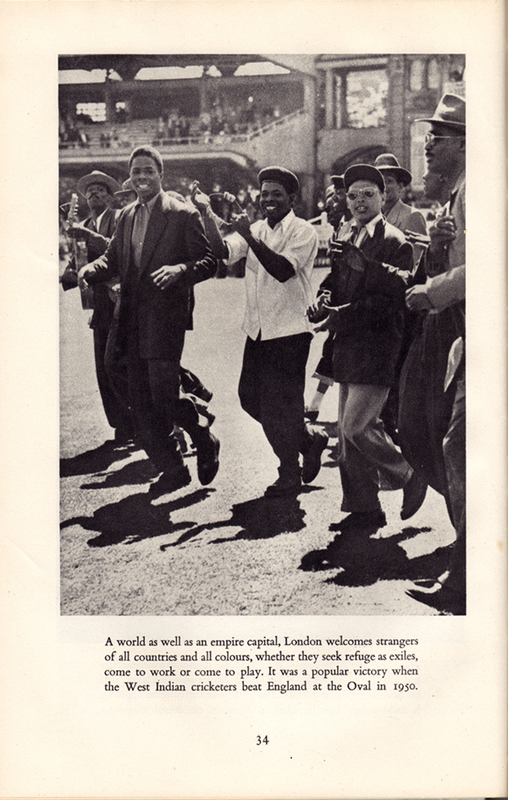 That, and references to empire aside, there is a refreshing regard to immigration: “London welcomes strangers of all countries and all colours, whether they seek refuge as exiles, come to work or come to play.” UKIP take note, the Britain in the 1950s you would wish us to return to was more forward thinking than you would have us believe. Reading through these guide-books in the last three weeks of a General Election in this country—one that is caged in the terminology of austerity, cuts, Europe and immigration; one that seeks to blame, point fingers, build walls and retract in on itself—I am reminded of the feelings I had when I first read the official Festival of Britain programme that compelled me to write my Eye piece. And that is if politicians in the late 1940s/early 1950s could envisage emerging from such a financial disaster as the Second world War, looking forward and having hope for the future, why can’t they today? 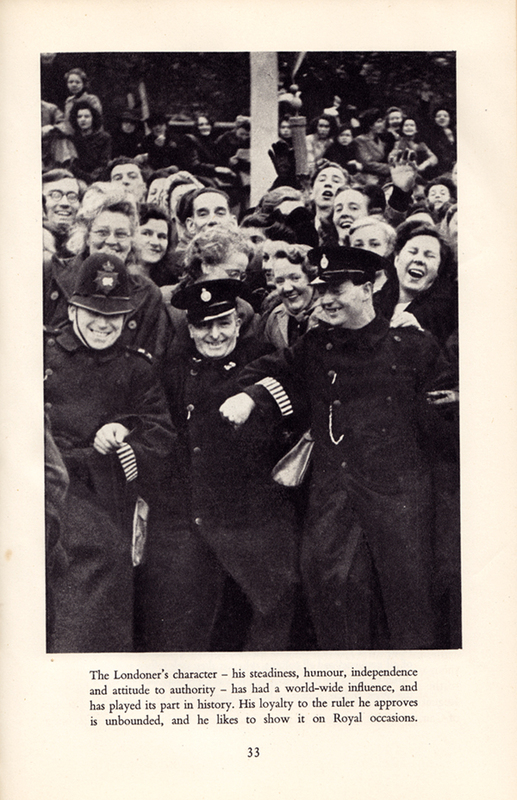 For the Festival of Britain organisers, their take on the world wasn’t one of austerity and boarders, blaming those worst off while appeasing financiers; theirs was a vision of everyone working together for the benefit of all. Something I believe that many of our current crop of politicians could do well to learn from. Quaint maybe, ambitious certainly, but if history teaches us anything, it teaches us that these visionaries achieved their goals; for this is the era that gave us public services such as the NHS and much of the infrastructure that has supported us for the last 63 years. Will the decisions of the next government have such a huge impact on our way of life and our culture? Only negatively I fear. Very interesting and informational post. I used to visit ML Douglas in Cheltenham regularly and the region is beautiful, particularly in spring and summer. I now know a lot more about a place I’ve frequently visited.